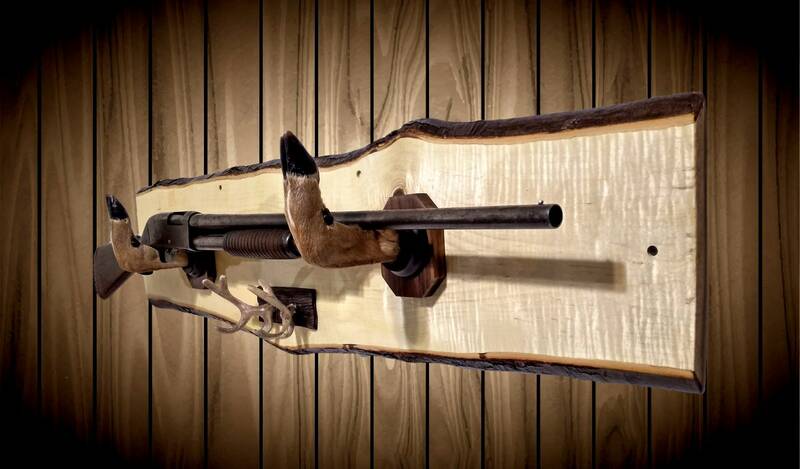 Beautiful Rustic, Maple Gun Rack With Many Unique Features. 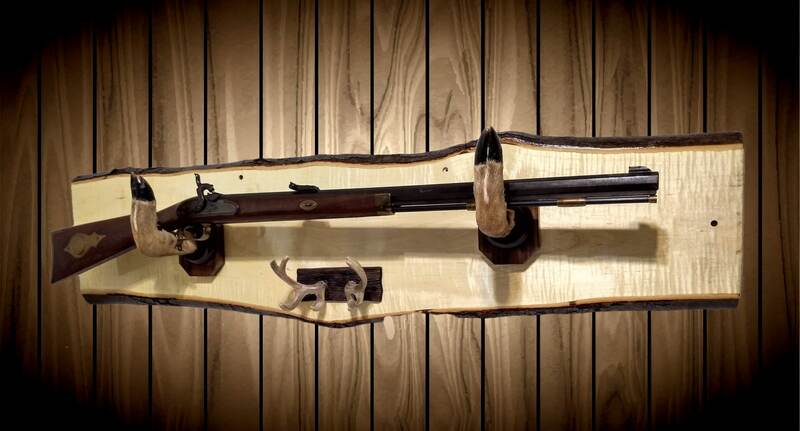 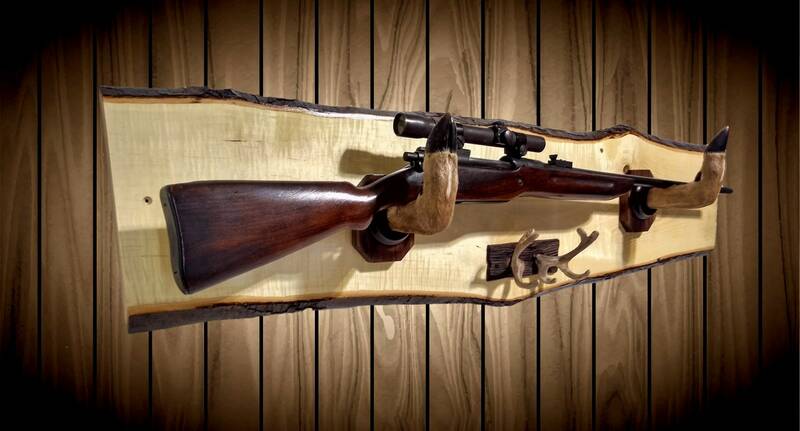 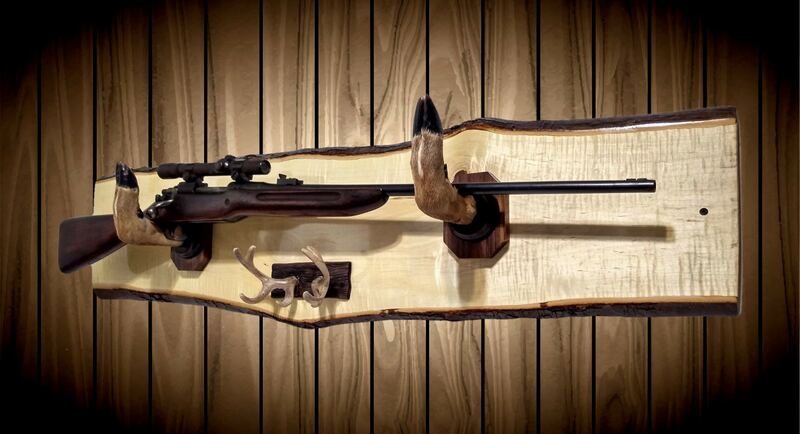 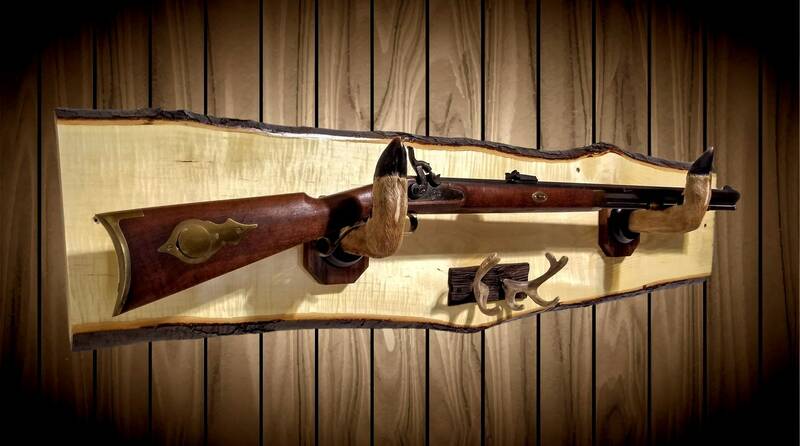 Be Proud to Display Your Favorite Gun with This One of a Kind Rack. 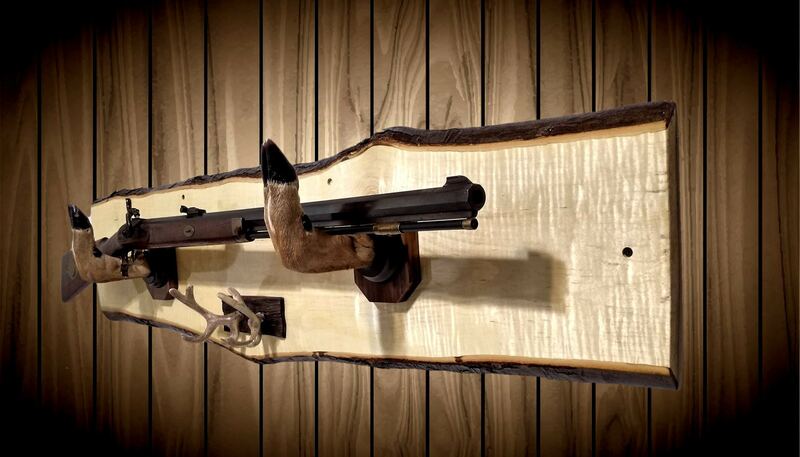 Taxidermy Deer Hoof Gun Hangers with Walnut Frames. 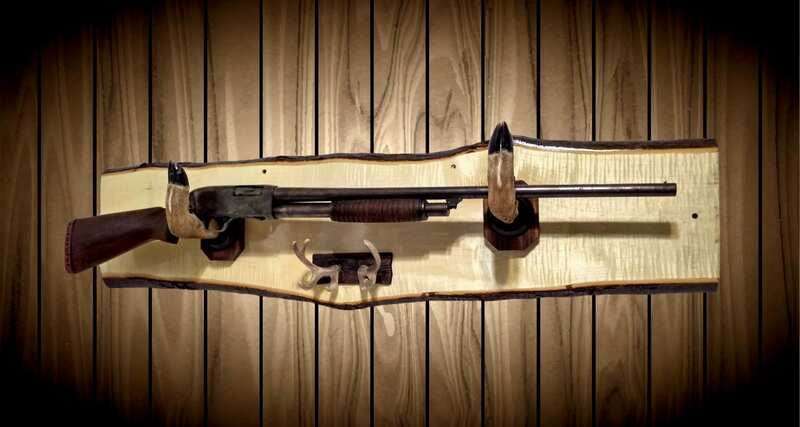 Two Coats Tung Oil on Back (helps keep wood stable). 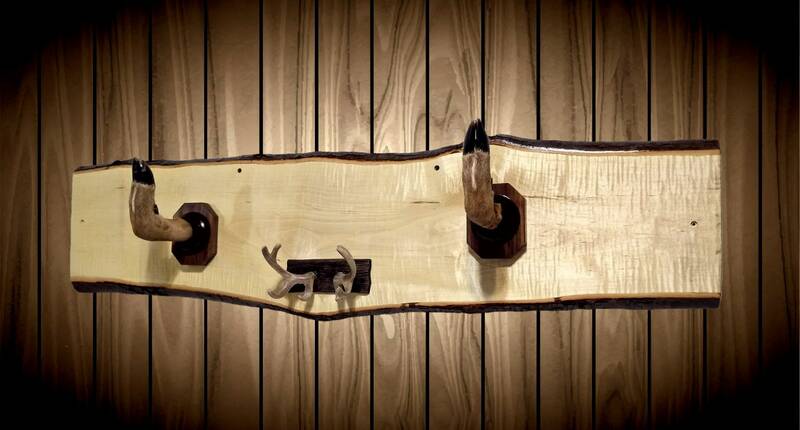 Cast Iron Deer Antler Key, Hat, Coat Rack Finished To Look Real. 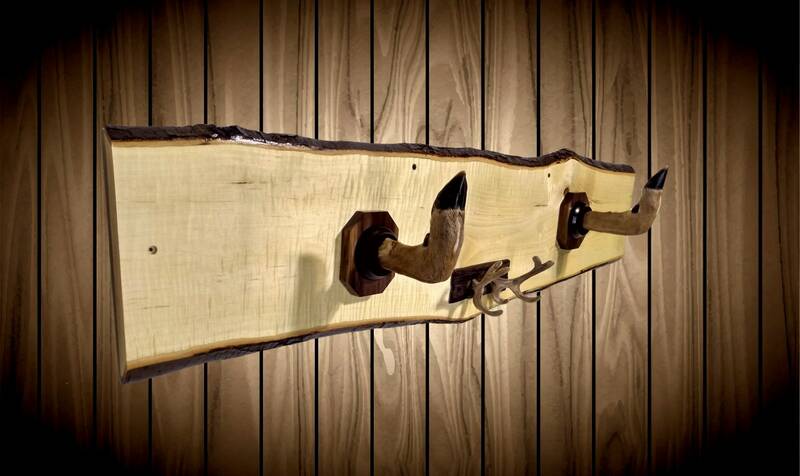 Live Edge with Natural Bark and Weathering. 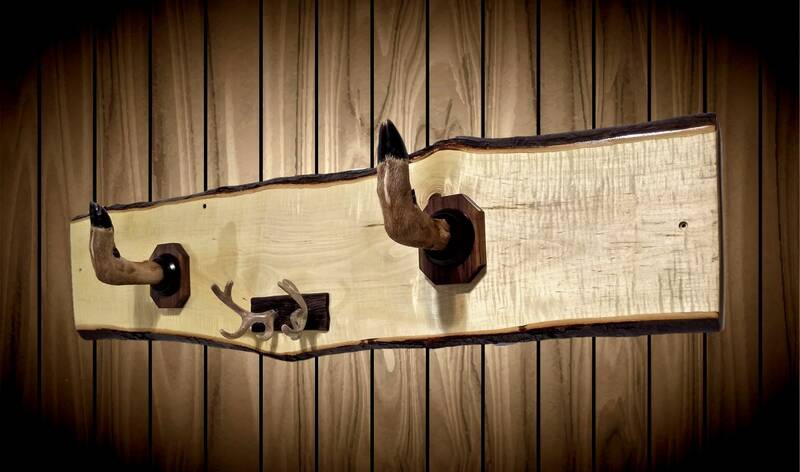 All Mounting Hardware Included (Drywall and Wood).